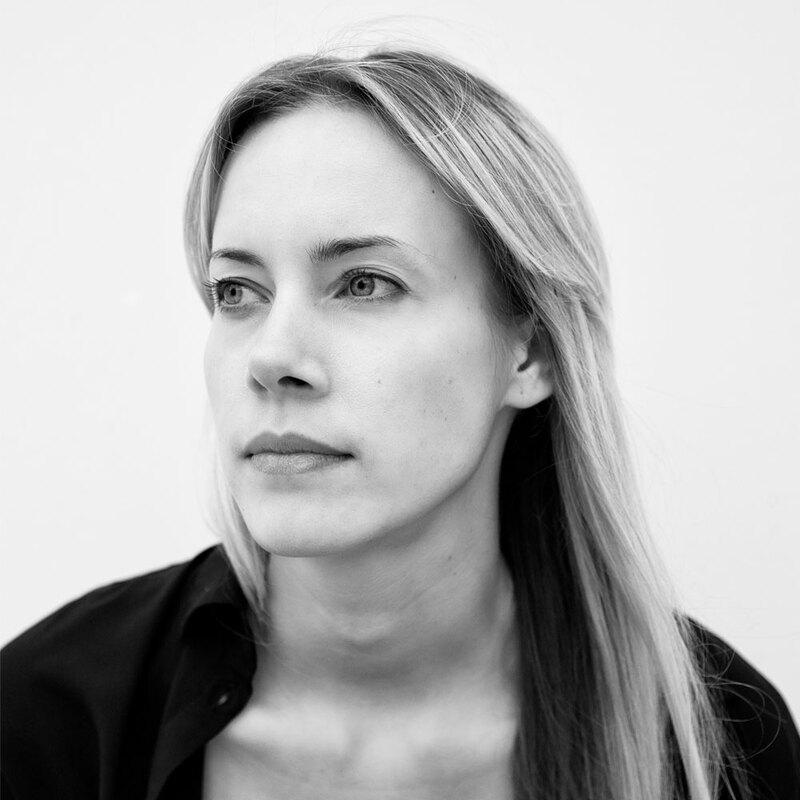 Meike Harde expands the Miro family. 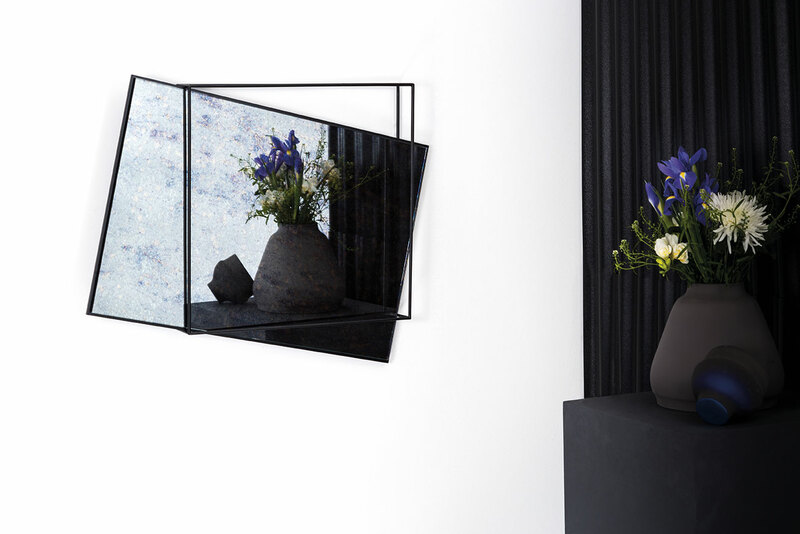 Miro is now available in a more compact version as Miro on the Wall. 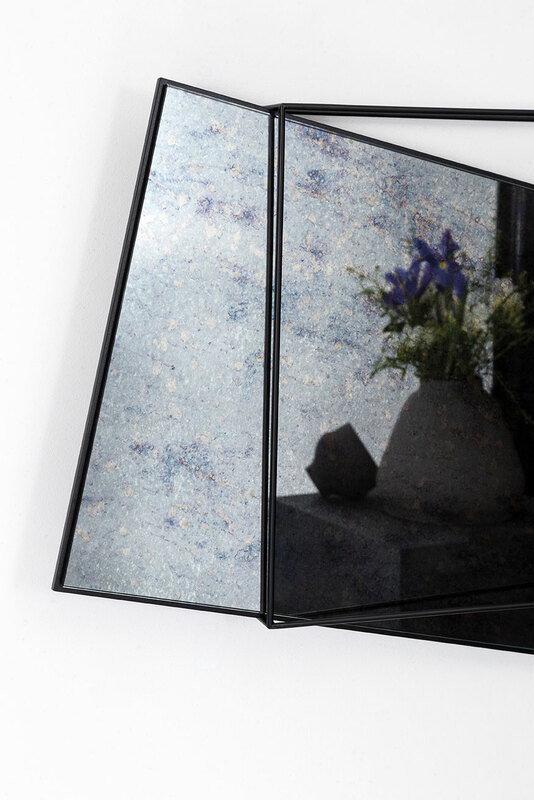 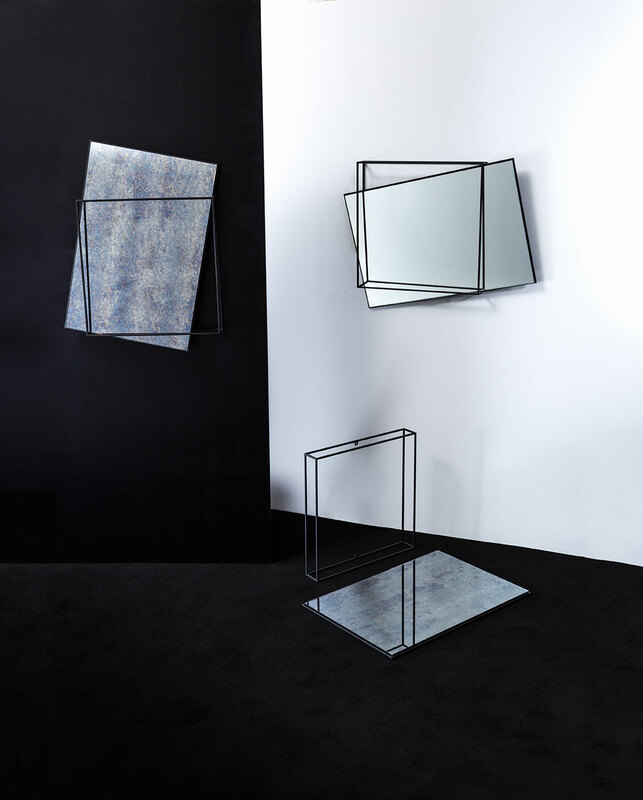 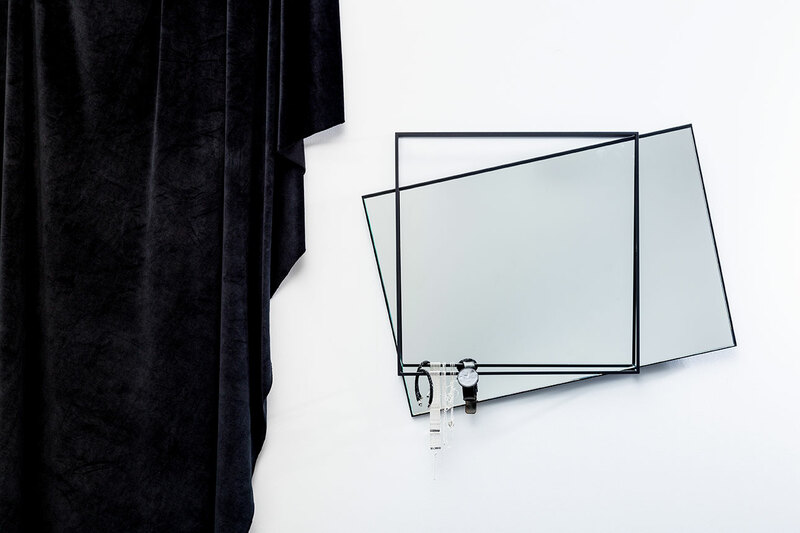 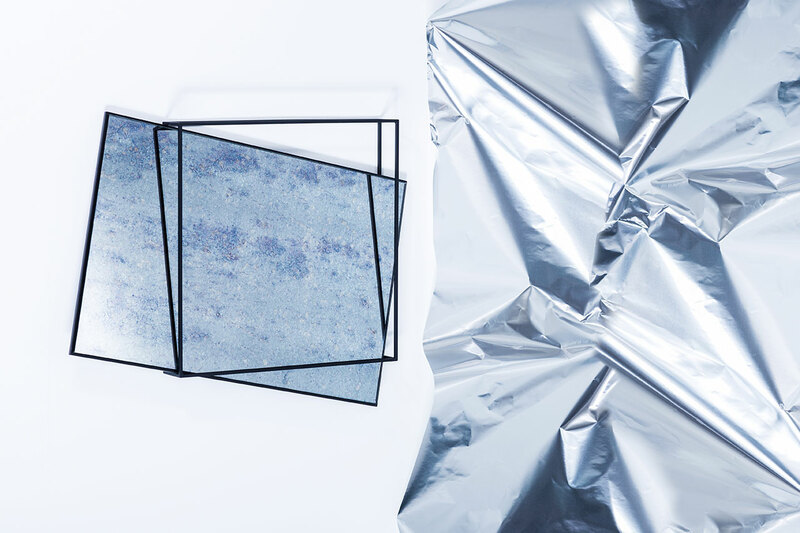 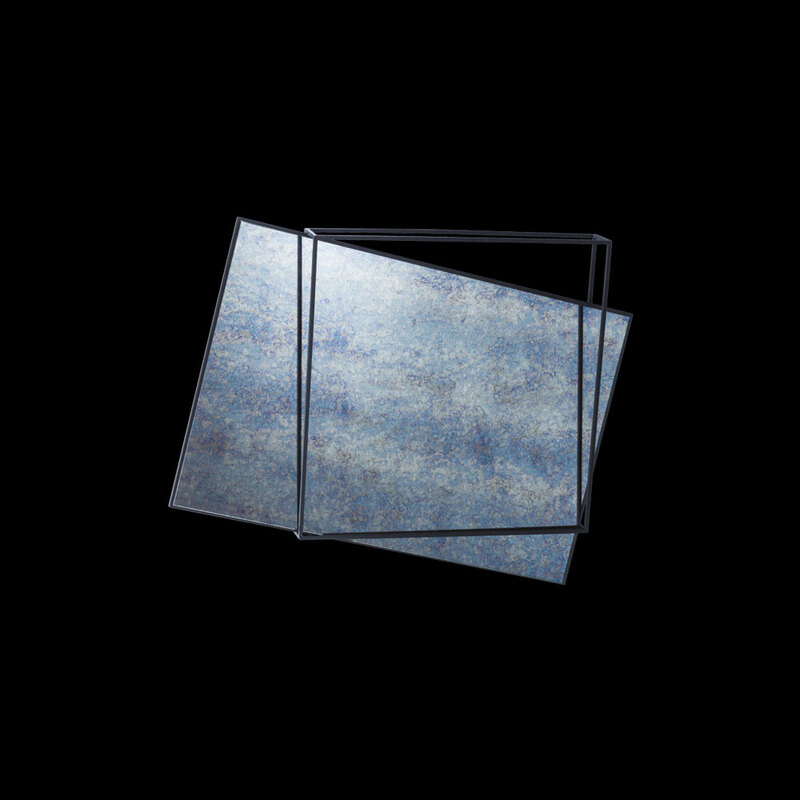 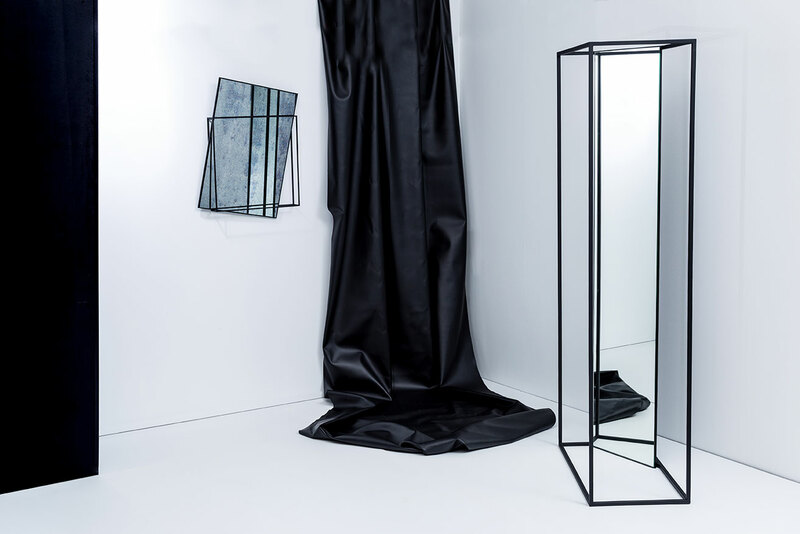 A square structure in black steel encloses a rectangle antique mirror, creating new perspectives of re ection. The mirror frame can hold accessories.